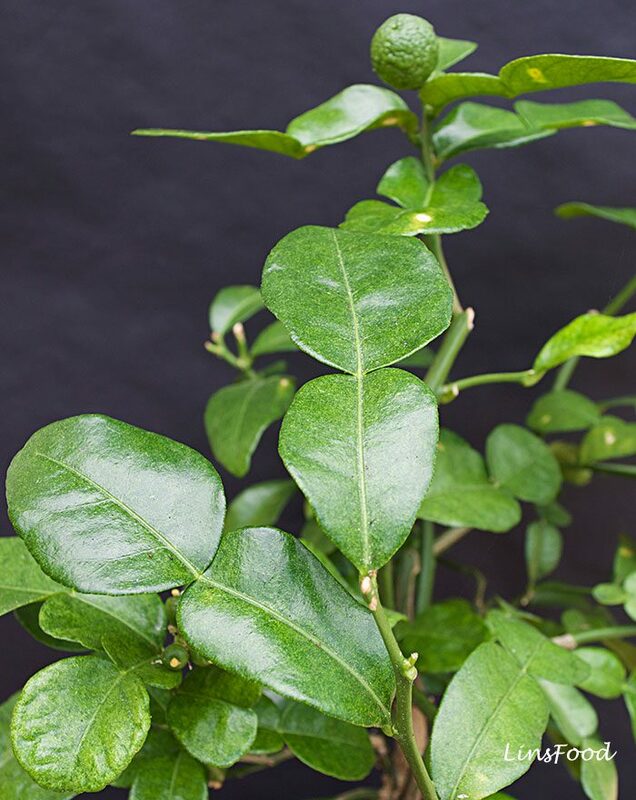 The Kaffir Lime leaves, with their trademark double leaves, are an essential part of many South East Asian dishes like Tom Yum, Thai and Malay curries. The dried leaves are easily available at large supermarkets here in the UK but aren’t as strong as the fresh ones. The leaves have a citrusy, sharp aroma that adds to any dish they’re included in. There is no substitute for kaffir lime leaves. If you can’t get them, leave them out and finish your dish off with freshly chopped coriander leaves (cilantro). 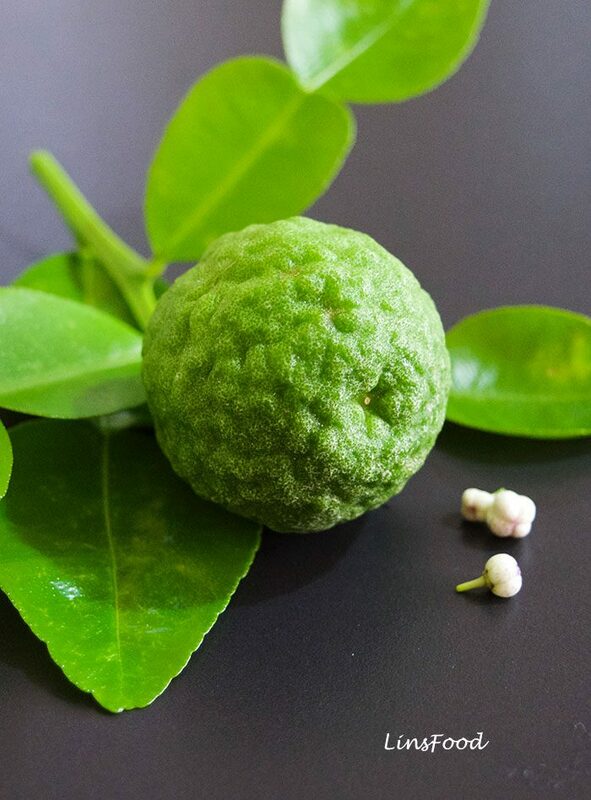 The kaffir lime is easy to distinguish from other limes. 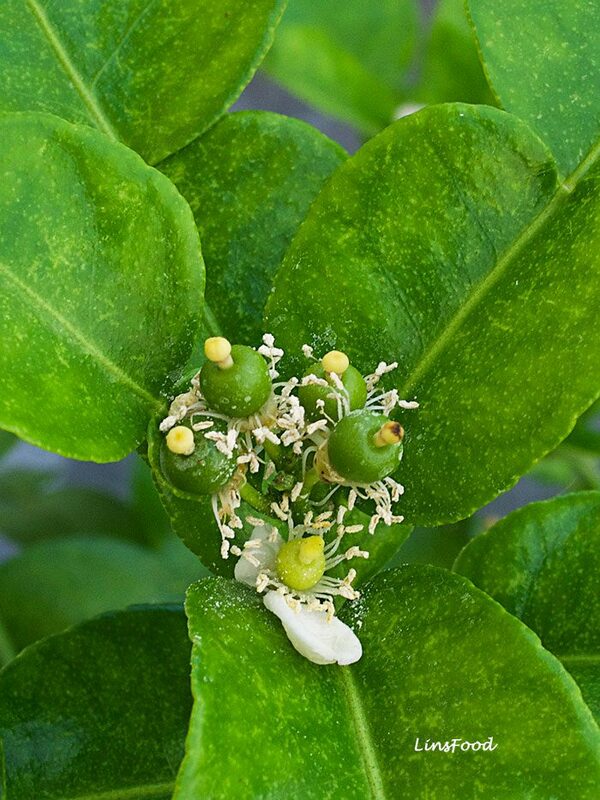 While it starts off like any other limes (image above), as it grows, it develops a pitted surface, as you can see in the image below. Interestingly, the juice itself isn’t used for cooking, it is a little too bitter for that. It is the zest of the fruit that is much coveted aside from the leaves, and is often used in curry pastes as in the Green Thai Curry. The juice is believed to have medicinal properties and is in fact used in herbal concoctions for the hair and bath. It is not an uncommon practice to have slices of the limes thrown in the bath at high end spas in the Far East.